Sustainable Energy - Sun's Energy! Gone are the times when the sun was just ball of fire when we thought the sun was of no use but just rise and set every day. We are in the modern age where almost nothing goes to waste (except for a lot of food ) maybe or paper! We have come to realize when God created the world, he made everything useful. It was not until the late 1800's that we realized that the sun's energy could be converted into energy that we could use here on earth (without actually having to go to the sun). Did you know? The earth receives about 174 Petrawatts (quadrillion watts) of solar radiation, of which only 30 % is reflected back to space. So we have about 70% of a free renewable energy source that can be utilized for numerous things. Last but never the least, Safecastle says : Prepare & Fortify! Fire - A boon or a bane! There are several things we should be thankful for to mankind. Imagine a world where no one would wear clothes, or if we were still living in the ages where there was no concept of electricity or even concrete. Life sure would have been different but the good thing is we kept inventing, figuring out ways to make ourselves comfortable. One such essential - element of life is Fire. What if that person had never rubbed two stones to get that slight spark! Well, we'd still be eating Freeze Dried food - not by choice. Having said that, we have not always appreciated everything we invented. Apart from being careless and reckless with fire, we have had multiple instances with fire as a natural disaster. The most common such disaster is Wildfire, we have heard instances of wildfires at large in the recent past and it continues to grow, causing damage to natural wildlife, property and lives as we know. The more we take from nature, the more nature takes from us. We will not even go into Global Warming, wildfires are results of drastic climate change, drought, drastic heat that causes vegetation to burn. It could be a cigarette that you did not stomp or it could be lightning, sparks from a power line. Who would have known that a wide spread wildfire is good for the vegetation, it helps different species of plants grow. Periodic controlled burning is a method people use to diversify plants and shrubs. If you live in an area with dry vegetation around, ensure you always keep your surroundings clean and avoid garbage around the house. Ensure you have a Bug-Out-Plan with food, drinking water and other essentials for yourself and pets. Be a responsible smoker, ensure not to discard any cigarette that could start a fire. Be aware of surroundings and put your emergency plan to practice immediately at the sign of danger. Earth is the only known planet where fire can burn. No other planet has enough oxygen!. Beat that!! Heavy Discounts. For a Limited Time! Also get a Perpetual Harvest DVD free (Retail Value $20) with every order. Whole-grain guru, Jack Jenkins, is the inventor of the Country Living Grain Mill, a former nationally syndicated radio host and the father of seven children. Jack is dedicated to educating (anyone who will listen) about the virtues of growing and storing one's own food -and having the know-how and tools to use it, thereby reaping the blessings of increased vitality and self-sufficiency. Going the Grain Mill Way.. This New Age is all about being healthy, living a lifestyle which is very hard to live by. With multitude diet options, weight management resources, and good eating, we forget the minute nuances in our eating habits. There are many superfoods and equipment available out there, to help us reach the objective. One such object is a Grain Mill. Yes, a small object that goes a long way in keeping you healthy and helps you save money. One may think, it could be a tedious job to grind grains but the new age Grain Mills are equipped to handle the pressure, and we are not just talking about grinding grains but let us talk about our daily regime, our P, B &J's.. with the right accessories, we could turn that no-no to home-made. You could stock up on flours for months and spend half or less for the same amount you'd buy the flours outside, and we are not just talking about one kind.. Go Gluten-free with grains like millet, quinoa, buckwheat and the kinds. What's better, this product will last you a lifetime. Get yourself a Grain Mill, today! A saturated marketplace, with big names already pioneering fortes like fat-tire bikes, e-bikes, we decided that 14 years was long enough and with the much-needed feedback from selling Commuter bikes, Hybrids, Mountain Bikes, and even a Folding bike designed as a carry-on for Army Paratroopers while jumping out of airplanes! 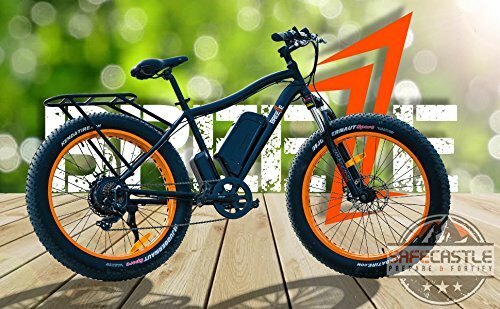 We bought into the market BREEZE FAT-TIRE ELECTRIC BIKE!!! This bike could conquer the world with a powerful Bafang 500W motor and tires that meant 'fat', this was a bike, meant to be ridden. Well, this is now, OLD NEWS! We were smitten, we couldn't stop once Breeze Bike was out. 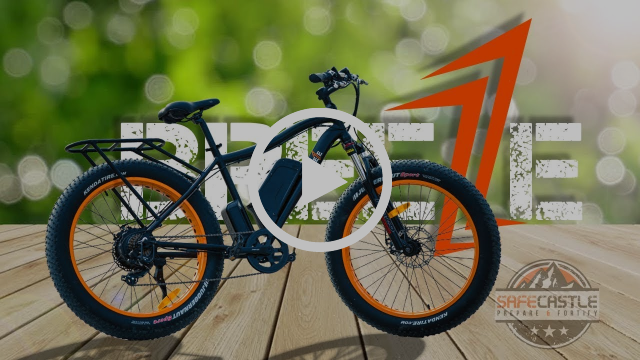 We present to you an 'upgraded' version of Breeze bike, FAT TIRE BREEZE PRO ELECTRIC BIKE is the talk of the town. If you thought Breeze was powerful, we upgraded this beast to a 750W Bafang motor, we also reckoned 'partial fairing' on the bike would give you the extra speed you need. With an advanced motor and looks to 'buy-the-bike' for we have also included a 790 LED Display enabled by PAS (Pedal Assist System), MOZO Suspension and SAMSUNG batteries to keep it going.